Two patients have died of Lassa fever at the Lagos University Teaching Hospital , Idi - Araba, Lagos . 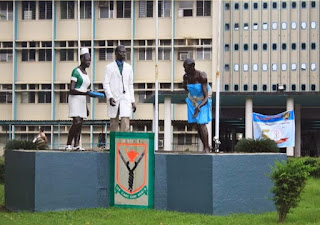 LUTH ’ s Chief Medical Director , Prof . Chris Bode , who confirmed the deaths on Tuesday , stated that a resident doctor who took part in the autopsy of one of the deceased was infected . He said that the doctor was receiving treatment at the Isolation Ward in LUTH . Bode noted that two suspected cases were being followed up . According to him , the first case was detected in a 39 - year - old pregnant woman who had a bleeding disorder following a still birth , while the second victim died within a few days of being admitted to the hospital . The hospital ’ s management explained that 100 hospital workers who had contact with the index patients were being monitored for the symptoms of the disease . Bode said , “ Each of these two patients presented very late and died in spite of efforts to save them. Post- mortem examination had been conducted before Lassa fever status was eventually suspected and confirmed . The CMD , however , urged patients and health workers at the teaching hospital not to panic as , according to him , there are relevant drugs and resources to prevent an outbreak or spread of the disease within the health facility. He said the state Ministry of Health and the Federal Ministry of Health had sent personnel and experts to assist with the tracing and follow- up of contacts in addition to managing suspected cases . He said , “ There are adequate materials for containing the disease while drugs have been made available to treat anyone confirmed with it. The Centre for Disease Control in Nigeria has also been contacted . Two other suspected cases from Lagos State are also currently admitted and quarantined while undergoing confirmatory laboratory tests . Lassa fever is an acute febrile illness, with bleeding and death in severe cases. It is spread by rats . Descriptions of the disease date from the 1950 s . The virus was first described in 1969 from a case in the town of Lassa, in Borno State , Nigeria . The viral hemorrhagic fever occurs commonly in West Africa including the countries of Nigeria , Liberia , Sierra Leone , Guinea , and Ghana . 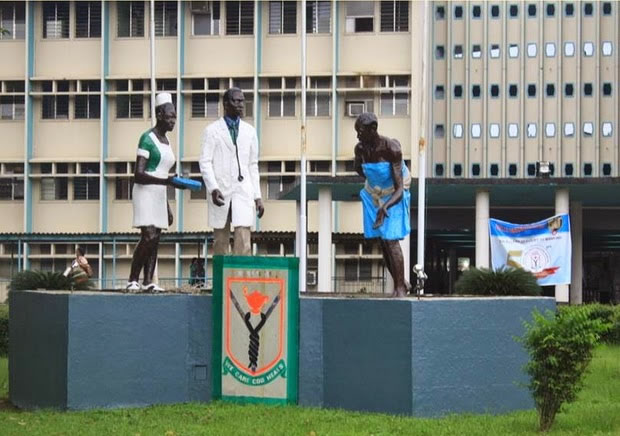 Doctors, who spoke with our correspondent on condition of anonymity in LUTH on Tuesday , however , said they were unhappy with the way the hospital had been managing the disease outbreak . According to them, the hospital ’ s management should have declared an outbreak of the disease before the deaths . He said , “ A single case of viral haemorrhagic fever to which Lassa belongs is an outbreak . But the management seems to be managing the information . I don ’ t know why they did not declare the outbreak before now. After all, it has been on for two weeks . “ Also , these people came from within the city of Lagos , which is densely populated . We don ’ t know how many people they have had contact with before their demise . Another doctor told our correspondent that one of the corpses had been released to the family of the deceased before the disease was detected . He added that an internal notice from the state epidemiology unit had gone out to all heads of health departments in the Ikorodu Local Government Area where the corpse would be buried in a yet - to - be disclosed location in Imota . “ They should prevent the body from being buried at home. The address will be posted as soon as it is confirmed . Meanwhile , all officers in lmota are , by this notice , directed to mount surveillance in the town , ” a memo said to be from the state epidemiology unit said . The Director- General , the Nigerian Institute of Medical Research , Yaba , Prof . Babatunde Salako , said there was a need to map the pattern of the outbreak and the nature of the vector responsible for the spread of the disease . Salako, who spoke to our correspondent in Lagos on Tuesday , said it was impossible for one to tackle a disease whose nature and epidemiology was unknown . He said , “It ’ s time for us to map out the states that have recorded Lassa fever outbreaks and understudy those that have never had an outbreak . This is important so that we can identify why and replicate what we find to help those that record outbreaks yearly . Salako also said it was high time Nigeria led a vaccine and treatment research as the country had the highest number of people dying of the disease globally .